Export RDL and RDLC reports to Word document formats and more from SQL Server Reporting Services. Aspose.Words for Reporting Services is a rendering extension enables developers to export RDL and RDLC reports as DOC, DOCX, PDF, RTF, HTML, MHTML, ODT, TXT, XPS and WordprocessingML documents from within Microsoft SQL Server Reporting Services. Aspose.Words for Reporting Services fully supports the RDL specifications. You may use any report designer to redesign your existing reports or simply export any existing RDL report as a Microsoft Word document, and it will render exactly how you would expect it - identical to the RDL design. An overview of the RDL features, technologies, export modes and export formats that Aspose.Words for Reporting Services supports. Aspose.Words for Reporting Services supports MS SQL Server Reporting Services and MS Report Viewer. Aspose.Words for Reporting Services allows output to business-critical word processing and meta language file formats. Aspose.Words for Reporting Services offers a number of export formats.  Feel free to export your reports to "native" Microsoft Word document formats such as DOC, DOCX, RTF, and WordML, or additional formats like ODT, HTML, MHTML. TXT, XPS & ePub. Flow Layout produces "editable" documents that consist of simple paragraphs, tables, section - this is similar in comparison to an office worker creating the document in Microsoft Word. Positioned Layout produces reports with the most accurate conversion fidelity from RDL to Microsoft Word. 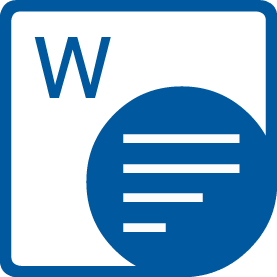 Tables and matrices from reports are exported as Microsoft Word tables, while some elements are exported as positioned textboxes to keep the fidelity as close to the original design as possible. 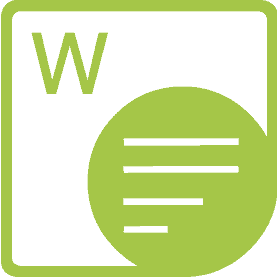 Aspose.Words for Reporting Services is built using managed code that never needs Microsoft Word to be installed on the machine to work with Word document formats. It is a perfect Microsoft Word automation alternative in terms of supported features, security, stability, scalability, speed and price. Why Aspose.Words for Reporting Services?